TACOMA – May 18, 2012 – The seventh annual In the Spirit: Contemporary Northwest Native Arts exhibit debuts Thursday, June 21, with a free opening reception for the artists and guests at the Washington State History Museum in Tacoma. The exhibit displays artwork from more than two dozen Native American tribes and runs through August 26, 2012, culminating with the In the Spirit: Northwest Native Arts Market & Festival on Saturday, August 11, 2012. The two-month exhibit is curated and juried through a partnership with The Evergreen State College Longhouse Education & Cultural Center, and celebrates the cultural traditions and modern expression of Native artists throughout the Pacific Northwest. In addition to the new exhibitors, this year’s show also welcomes back a two-time ‘Best in Show’ winner, Jerry Laktonen, and several prior participants. There will be more than 30 pieces this year – one of the largest In the Spirit exhibits yet – that have been created by more than 25 Native American artists. 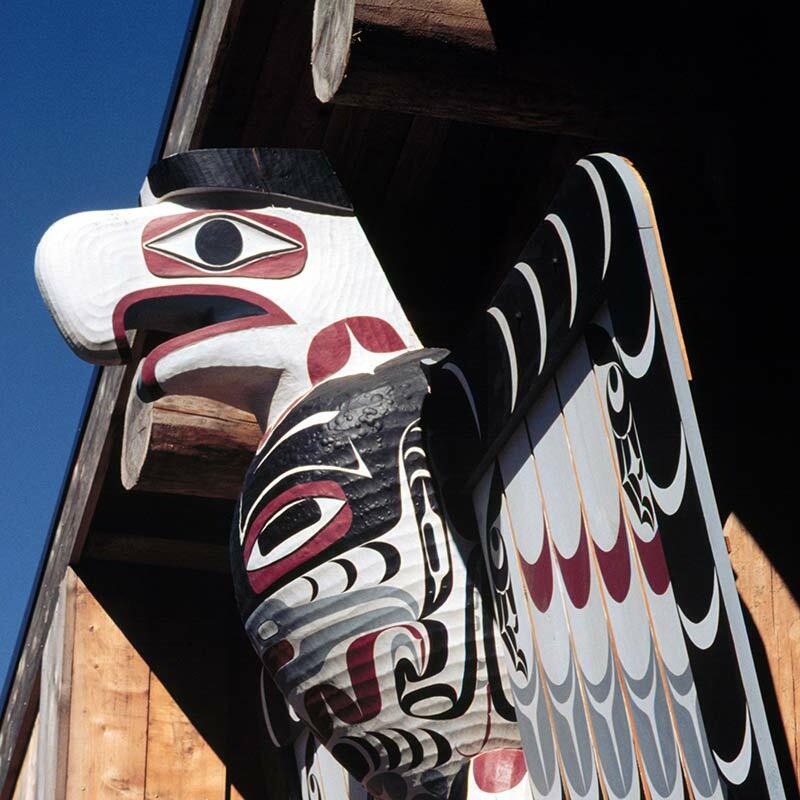 Each artist has a unique vision and aesthetic, and the pieces range from woven capes and skirts, to red cedar carvings, feathered masks and oil paintings. During the opening night reception, on ‘Free Third Thursday,’ June 21 at 6 p.m., museum-goers are invited to mingle with the artists and other guests, and applaud the artists’ accomplishments as awards are announced. The three-person judging panel, comprised of Native American art experts and artists, will present this year’s winners in four categories: “Best of Show,” “Celebrating the Northwest,” “Celebrating Tradition” and “Celebrating Innovation.” A “People’s Choice” award is voted on by visitors throughout the exhibit and awarded during the Festival on August 11th. Exhibit hours are Monday – Sunday, 10 a.m. – 5 p.m., with extended hours and free admission every third Thursday, 2 – 8 p.m. General admission: $9.50 for adults; $7 for seniors; $7 students and military with valid ID; children, age 5 and below, and members are always free. The In the Spirit exhibit and festival are organized by the Washington State Historical Society and The Evergreen State College; made possible in part by The Bamford Foundation, Tacoma Arts Commission, and our media sponsor KUOW.